The glass used is insulated and tempered, providing excellent energy efficiency. 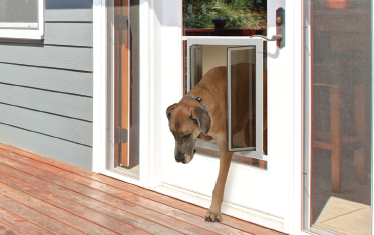 The unit features a factory installed PlexiDor dog door or cat door and replaces the current glass panel in your door frame. There are are sizes available for most French doors, patio doors, and sliding glass doors. Call us at 800-749-9609!